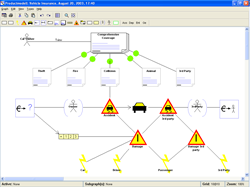 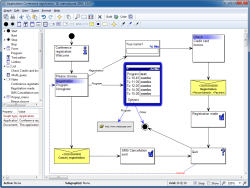 Domain-Specific Modeling with MetaEdit+ has been used in a wide variety of domains and industries to achieve fundamental improvements in productivity and quality. 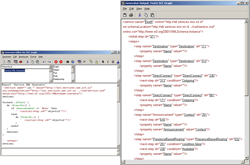 The examples listed represent just a fraction of the hundreds of domains which have benefited from this approach. 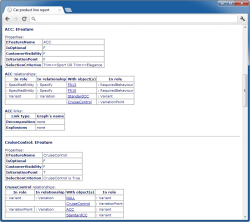 Contact us to see the cases in more detail and discuss how DSM would benefit you in your domain. 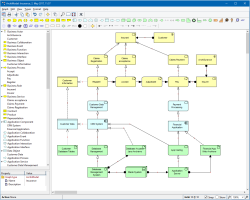 A DSM language for specifying insurance products using static declarative models. 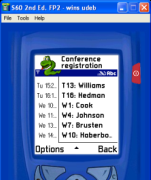 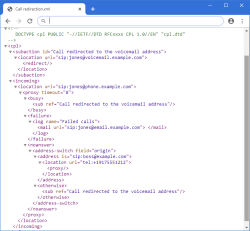 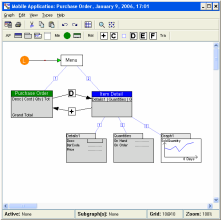 A call processing language for call redirection. 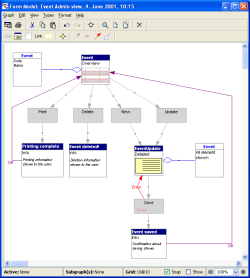 A DSM solution for specifying document-centric systems. 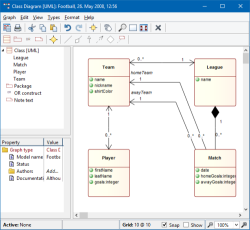 This example demonstrates the use of DSM for testing. 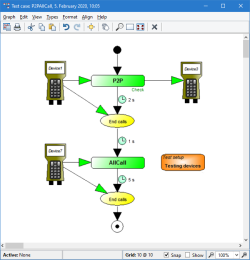 Using domain-specific models for test vector generation and verification. 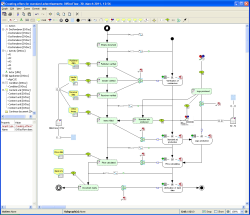 A DSM language for specifying enterprise architectures. 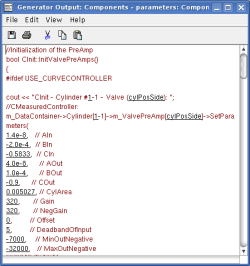 A DSM language based on the AUTOSAR standard. 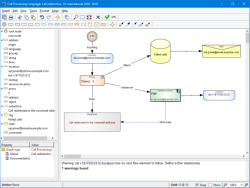 A DSM language for describing IP telephony services using flow models and generating service description in XML. 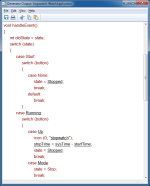 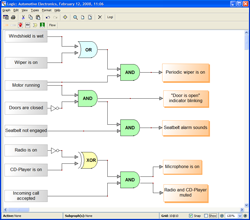 State machine based Java, C# and C code generation for embedded devices, using a familiar domain, a digital wrist watch, as a pedagogical example. 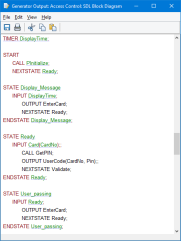 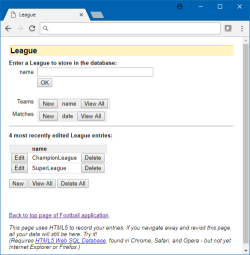 Code can be also executed on Android and Windows Phone emulators. 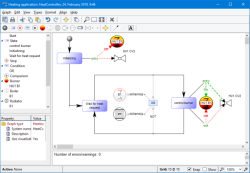 This example covers product line development by allowing software developers to describe static and behavior in two different yet integrated languages. 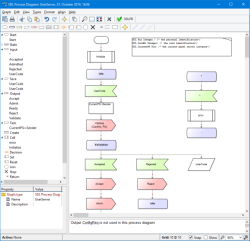 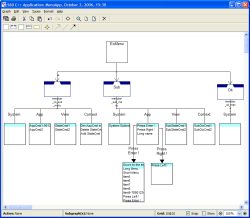 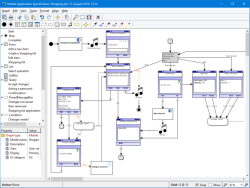 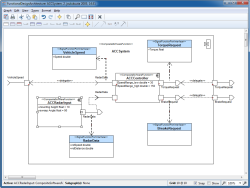 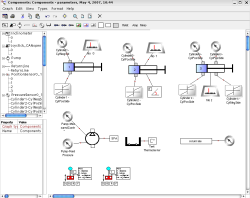 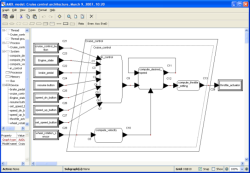 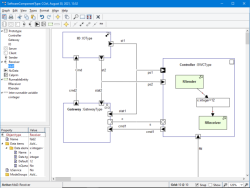 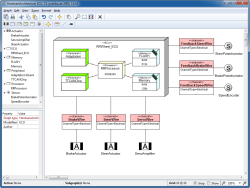 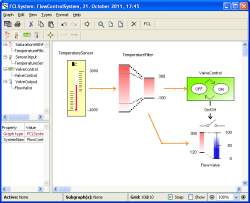 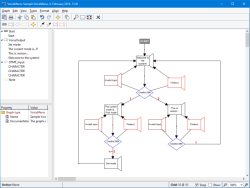 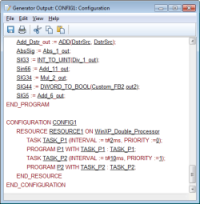 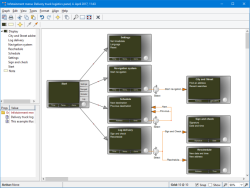 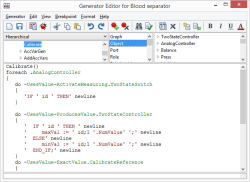 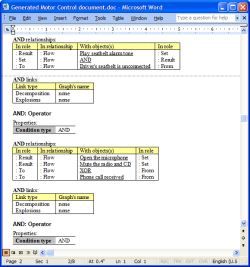 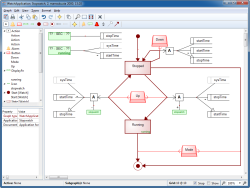 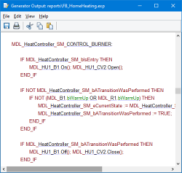 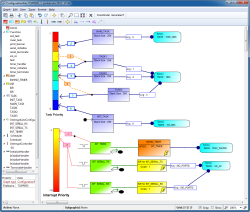 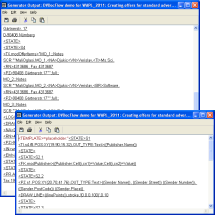 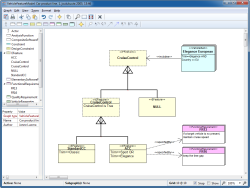 Code generator produces code from multiple different kinds of design models. 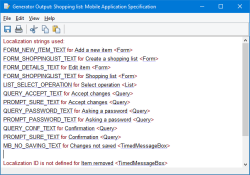 A DSM language for developing a web applications; online shopping places, discussion forums, online support etc. 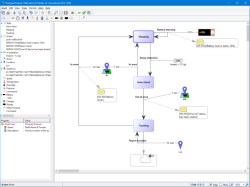 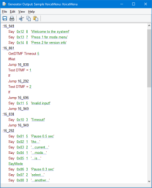 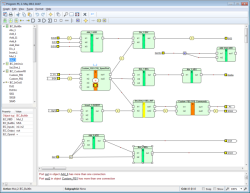 A DSM language for describing telecom systems wiht blocks, gates, processes and generating code for SDLPR.